Tonight at our Christmas Eve service, I watched an amazing friend bring some of my musings about Mary, the mother of Jesus, to life. I cried. I laughed. I watched Mary step out of her stained glass, stone-carved perfection and become a real person. Christmas is steeped in tradition. For me, Mary was a Sears nativity figurine in a blue robe that was always caught in some sort of ceramic breeze. She was beautiful. Untouchable. 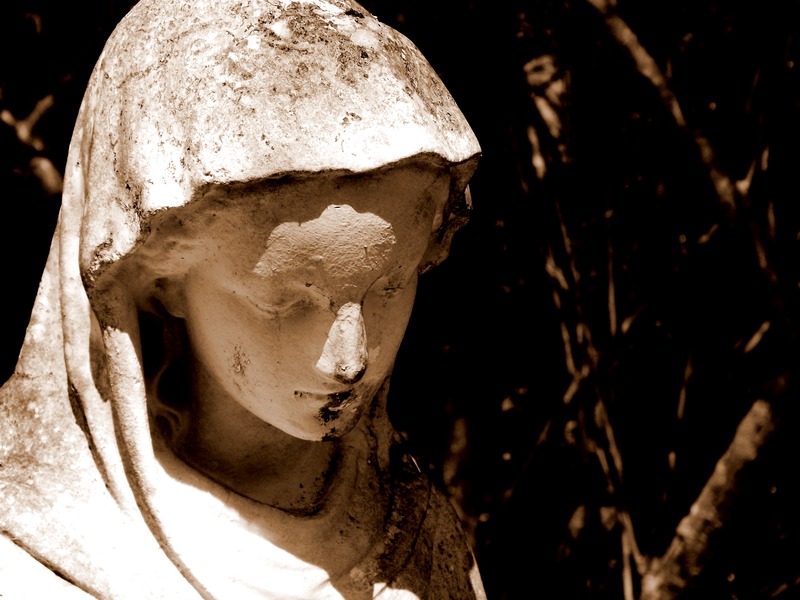 In my mind, she was perfect – the woman God chose to carry his Son. She knew what she was doing, right? Then I became a mother, and I realized none of us really knows what we’re doing. No matter how perfect every picture, every icon, every statue might make her look look, on the night of Christmas Eve, Mary was a scared girl in a cow barn laboring through clenched teeth. I don’t know where you’re at this Christmas. But maybe you’re like me, wanting to hear an old story with new ears. If that’s the case, my version of a window into Mary’s thoughts is for you. Merry Christmas, friend. Merry Christmas. No room. No room? Who says “no room” to a pregnant woman? I know. I know. Census. Travelers. I’m thankful for a roof. But wow. I’m going to have a baby. In. A. Stable. Father God, I have no idea what I’m doing. I don’t know how to have a baby. This is my first time. And I don’t know how to handle it. It hurts. Do You hear me? It HURTS. For the record, my mother didn’t say anything about this part. It was all “your sweet little hands” and “just a few pushes.” Right. Joseph told me to lie down. Like it’s that easy. On straw. STRAW. Dry, dusty straw that’s been sitting in a barn for how many months. No thanks. Think I’ll stand. Father God, I don’t know how to be a mom. I mean, I don’t even have any diaper rags along with. How is this going to work? No really. He’s your Son, but he’s still going to need his diaper changed. Everyone says it’s instinct. I’ll see Him, and I’ll know what to do. But really, will I? Why does no one talk about labor? What is it – some sort of secret code? Rite of passage? How long is this going to last? I wonder if anyone left the inn early. I really want to wash without a bunch of cows around. Father God, keep Him safe. Keep me safe. Keep Him safe. Keep us safe. You wouldn’t bring me all this way to lose your child, right? The angel didn’t say anything about that. He said I was going to have a Son. So it’s going to happen. I’m going to have this baby. Your baby. In a stable full of cows. Forgive me. It feels a little…strange. Why here? And why me? Wouldn’t it have been better to pick a mother who’s already had children? Who knows what she’s doing? God, I honestly don’t know where I fit in all this. I don’t know how to be a mother to your Son. I’m not perfect. I lose my temper. What if I mess up? Can I mess up? Are You going to be mad at me? Do you know the hardest part? Ever since I was a little girl, I loved hearing the shouts when firstborn sons were born. The family would get up on the roof and call out, and everyone below would stop what they were doing and clap or dance. But no one knows we’re here. My firstborn deserves all the shouting in the world, God, but instead it’s going to be quiet on this roof. Silent. Well, except for the cows. Hush little baby. Mama’s here. Daddy’s here. Father’s here…. Always here… Hush. Please come. Please come soon. This entry was posted in Faith Musings and tagged Christmas Eve, Christmas story, faith, Mary mother of Jesus, perfection, the real Mary. Bookmark the permalink.